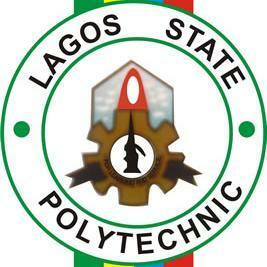 LASPOTECH admission exercise procedure — The procedure for admission into the Lagos State Polytechnic (LASPOTECH) ND full-time programmes for the 2018/2019 academic session has been released. This is to inform all the prospective ND full-time students of the Lagos State Polytechnic (LASPOTECH) that the management has released the procedure for the 2018/2019 admission exercise. Admission would be approved by JAMB and offer placed on JAMB website. Candidates are to accept the offer online on JAMB website ONLY (Recommended: How to Reject/Accept Your Admission on JAMB CAPS). Cleared candidates will thereafter proceed to pay the Polytechnic School fees online on the Polytechnic portal ONLY, submit all documents along with the Polytechnic course registration to their respective school officers as registered students of the Polytechnic. Candidates are expected to complete their registration within two weeks of admission notification. See also: LASPOTECH Central Clearance Schedule for Newly Admitted ND Candidates 2018/19.